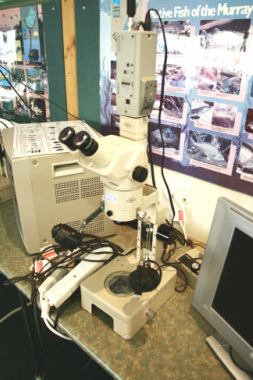 The Urrbrae Wetland Learning Centre is an exciting place with laboratory facilities which offer authentic and engaging learning opportunities in any learning area. There are numerous hands-on activities from water testing to macro invertebrate identification to demonstrate a wide variety of ecological concepts and leaning outcomes. Alternatively, you can use the tranquil surroundings and diversity of plants and animals to inspire your class. Below are some of our most popular concepts that can be brought to life at the wetlands, but there are many more. To discuss how you could explore some of these ideas or another area of your curriculum simply call the wetlands manager and start creating a unique learning opportunity that is tailored to your needs. The Urrbrae Wetland offers a unique opportunity for students to experience environmental science first hand. Students can conduct real experiments in the field and then relate their findings to how the wetland works and the ecology of the area. Below is a list of possible investigations and activities that can be used or altered to meet your curriculum needs. Students collect water samples from the two inlets and the outlet and then test each sample for turbidity, phosphates, nitrates, pH and dissolved oxygen levels. The results are then compared to see if the wetland is actually 'cleaning up' the water. Students collect aquatic macroinvertebrates from different areas of the Wetland and then examine their specimens under a microscope, using a biological key to identify them. Once identified, students can use their sample to estimate the diversity in different areas and infer the quality of the water. Students observe the characteristics of different habitats; both aquatic and terrestrial, then sample the macroinvertebrates that live in them. After they have identified and estimated the abundance and richness, they consider how the features of these habitats impact on diversity. Students conduct habitat surveys in different locations by observing vegetation, bank stability, in stream conditions and water flow, assigning each factor a mark as they go. Marks are totalled up to give an overall score for the health of each part of the wetland. This could then be linked to other observations of health and diversity. The Research Project offers an excellent opportunity for the students to learn more about something that interest them. It also allows students to experience learning opportunities outside of a formal classroom setting and what better place to do that than in the tranquil surroundings of the Urrbrae Wetland. Below is a list of possible questions students could look into however there are many, many more and I guarantee that if you tell me your favourite subject, I can come up with something that will work for you. Images contained on some of these worksheets are courtesy of NRM Education. To discuss how you could explore some of these ideas or another area of your curriculum simply call the Wetland Manager and start creating a unique learning oppertunity that is tailored to your needs.